We are happy to accept cats that are on routine medication provided their medical condition is stable. We are able to administer tablets and injections as necessary according to the owner’s instructions. Disclosure of any medical condition or concern is really important. If we have not been given information about your cats health it may lead to unnecessary worry and veterinary costs if we think that a problem has arisen during the cat’s stay with us. We regret we cannot accept admission of any entire male cat over the age of 9 months. We are registered with a local veterinary practice and reserve the right to request a full clinical examination if we feel that your cat is unwell whilst in our care.However, it is an advantage, particularly if your cat has an established medical condition, for us to contact your regular veterinary surgeon in the event of any problem, as they will hold details of any relevant past medical history. 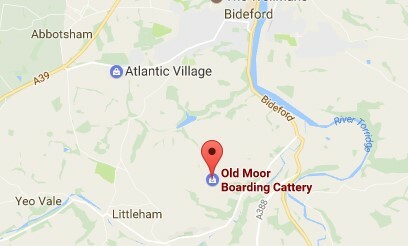 Old Moor Boarding Cattery is covered by insurance, full details available on request.